Some bikers tend not to use their motorbikes or scooters during the winter months, and prior to April this year, it was just a simple case of keeping the bike in the garage and perhaps ending your insurance until you are ready to use it again. The new rules in the United Kingdom however mean that bikers who would have previously done this now either need to keep their bike insured throughout the year or declare it SORN while it is not being used. If you’re fully taxed and insured you don’t need to do anything until your tax and insurance run out. If you’re taxed and uninsured (even if you’re off the road) you must either insure your vehicle or make a refund application with a SORN declaration to DVLA. If you’re not taxed or insured you must make a SORN and keep your vehicle off the road. If you’re not taxed but are insured you must make a SORN and keep your vehicle off the road. 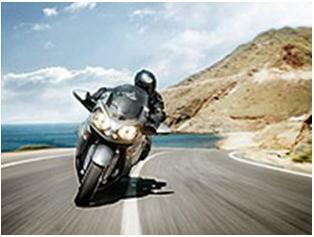 Failure to insure your bike without declaring SORN means bikers could face a court prosecution and up to £1,000 fine. To combat this, MotorCycle Direct and Sorn Insurance have been working together to provide a new Laid Up Fire & Theft bike insurance policy which allows bikers to avoid SORNing a bike while its safely stored away but still insured at a lower cost. Bikers (and car drivers) can find out more about the policy at www.Motorycledirect.co.uk and get online quotes, allowing them to consider which method is most suitable for them, whilst complying with the law. « France: be visible or get done!